After dealing with the email settings and connecting your MailChimp account, you are only done with the technical part of your form. Although this was the crucial part that has made your form working, you still need to add some style to the form. 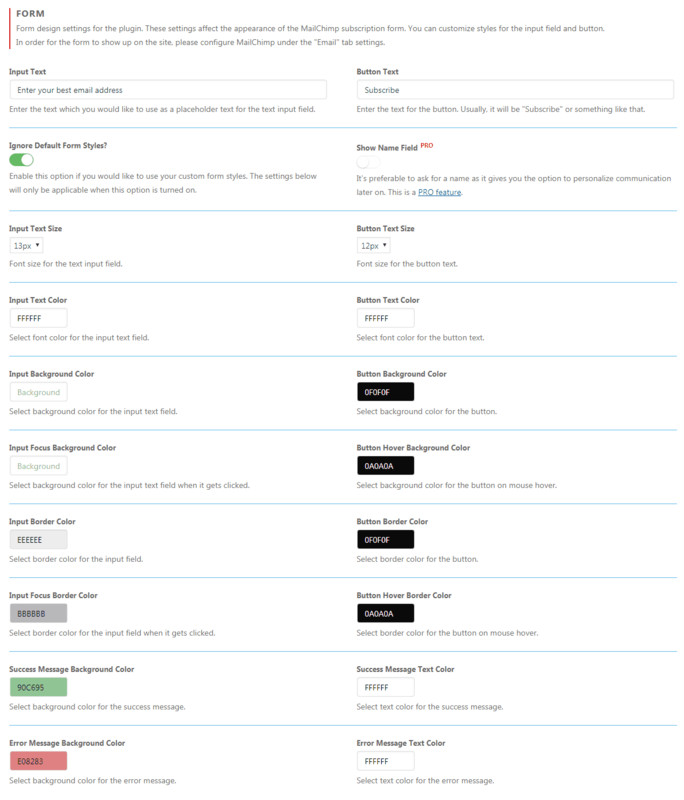 These settings affect the appearance of the MailChimp subscription form. You can customize styles for the input field and button. How to style the subscription form? Input Text – Select font color for the input text field. Button Text – Select font color for the button text.